When I first saw this set I knew it was going to be top of my list to get! And considering it is a limited edition Saleabration item – only available until February 15 – I didn’t waste time. I just love how versatile this set is. I have a lot of birthdays coming up – but my Grandad turns 92 at the end of January – thats quite an achievement, so it deserves something a little bit special! I wanted to make something with a vintage feel and I knew this set would be perfect. Of course I had to combine it with the Large number dies in gold foil paper to make it really stand out! I used paper from the Going Places Designer Paper Stack. Initially I was going to tear the edges to give it a more vintage feel – but I decided to use a match and burn parts of the paper like we used to for school projects! I then inked the edges in Soft Suede and sponged lightly over the paper. Its a bit hard to tell, but that aeroplane is actually popping off the page on one side – giving it the appearance of flying off the card. I used a 1″ x 1/4″ strip, scored at 1/4″ each end and folded in a ‘z’ and adhered it between two cut out stamped images of the plane. I then adhered the other side with a dab of tombow. That way, the plane will still sit flat for postage. The sentiment and stamped map of the world behind the plane, come from the Going Global stamp set. The world image is stamped directly onto a piece of designer paper from the Going Places Paper stack. And don’t forget to decorate the inside of your cards too! I hope you enjoyed this creation! Make sure you take advantage of sale-a-bration and the limited time products on pages 16-19 as they are only available until Feb 15th! REMEMBER – SALEABRATION IS A GREAT TIME TO JOIN – $295 WORTH OF YOUR CHOICE OF PRODUCT FOR ONLY $169. NO EXPECTATIONS. NO PENALTIES. GREAT WAY TO BUILD YOUR STASH! ASK ME HOW TODAY (or click on the ‘Become a Demonstrator’ tab). Welcome to the ESAD 2016 Blog Hop featuring items from the new Occasions Catalogue ‘Handmade from the Heart’ and the 2016 Sale-a-bration Catalogue. You may have hopped here from Nicole Wilson, or you may be starting here. I hope you enjoy the projects we have all created for you! I had lots of fun creating for this blog hop. I am IN LOVE with just about everything in the new Occasions Catalogue! Water colouring is BIG at the moment and fun to create as you never get the same effect twice. I love it. I had a special card to make for my niece’s 16th birthday – so I set to work creating a card that looked a bit special using some of our new products in our Handmade from the Heart Catalogue. I find water colouring directly onto card difficult. So my favourite technique for watercoloring is by using reinkers and dropping them onto my largest clear block. I add a drop or two of water from my aqua painter and swirl it around on my block. I then add more colours as I desire until I am satisfied. I then pick the block up and tilt it slightly from side to side (this makes the colours run a little) and then stamp it on to my paper. You will need drying time with this method, or dry with the heat tool. I used pool party, blushing bride and watermelon wonder for this card as I was originally going to combine it with the Birthday Bouquet DSP. But I had a bit more fun with the watercoloring by dropping more ink onto the card and using a straw to blow the ink around – like what we used to do in art in primary school. It was a bit of fun! I then splattered the card base with some gold glitter, framed it with the largest scallop square framelit, added our newest ribbons and cut the numbers from the Number of Years framelits (loving these!). I stamped and gold embossed the sentiment ‘Dream Big’ from the ‘Enjoy the LittleThings’ Stamp set and cut out the ‘dream’. And don’t forget the inside of the card! I added a smaller piece of the watercoloring to the inside of the card too! Hop along to the next blog by Richelle Fletcher for more inspiration by clicking on the image below. Mel Pagano – You are here. I haven’t played along for a while, so I thought it was about time to tackle another Global Design Project Challenge. When I saw this cake, I was inspired to ice it ‘ombre’ style from an amazing local cake decorator. I love her work, so I replicated it here on the cake using pool party, bermuda bay and pacific point inks. You will need your stamp-a-ma- jig to get this one right, or have a go with colour markers. I also added glitter to the cake using the clear wink of stella brush (how amazing is that tool – I think I’m in love!) which you can see a bit of in this next pic. It’s sooooooo pretty! And of course, you can’t have a gorgeous card without the inside with a bit of decoration too. It makes it all that more special! Why not have a go and play along with the design team! We will be playing with loads of new products just like this in my upcoming classes – so take a look at the class page and come along and join the fun. After Christmas I was so Happy to create something…well….not Christmassy really. And I have to admit – my brain was pretty dead! It wanted to create, but it didn’t really want to think to much about what and how! That’s where our amazing kit projects come in. I wanted to make the ‘Enjoy the Little Things’ Project Kit as soon as I saw it at our ‘On Stage’ event in November. So of course it was one of the first things I ordered in my preorder. So I figured NOW was the perfect time to pull it out and have a play. I felt a little overwhelmed with all the beautiful bits and pieces when I first opened the kit! I could feel my brain panicking that it was going to have to think! Lol. But I was armed with my cup of tea and determination, so onward I went. AND IT WAS VERY EASY TO DO! You will need the coordinating stamp set – or choose your own – but the kit has everything you need to complete these projects except adhesive and inks. As usual Stampin’ Up! supply generous amounts of everything you need, and even multiple languages in this kit. Like I said – Just a few of my favourites! And that little board is soon cute! Do you remember this card that I painstakingly made ??? You can see all about it Here. Well I absolutely adored that card, so when it came to writing out all my Christmas Cards this year to hand out – well – lets just say that I couldn’t possibly part with this card! It was just too special, too gorgeous and too much work to part with. Still, I wasn’t entirely sure what I was going to do with it! Then came along my December Daily album where the front needed some special adorning for Christmas. I was stuck this year as to what to decorate it with. I had thought of using the ornaments soon many times – but I wasn’t sure how to quite do it. Then yesterday it came to me whilst staring at my card….. I wanted that ornament on my album – however I really didn’t want to spend hours making another one – so I set to work using this one without to much fuss at all. I simply trimmed my card down and used our new ‘Number of Years’ dies with our red foil to create the year. A glittered star and gold cording trim and I was done!!!! And isn’t it wonderful that the ornaments have carried forward into the Occasions Catalogue! Oh am I excited to publish this post! 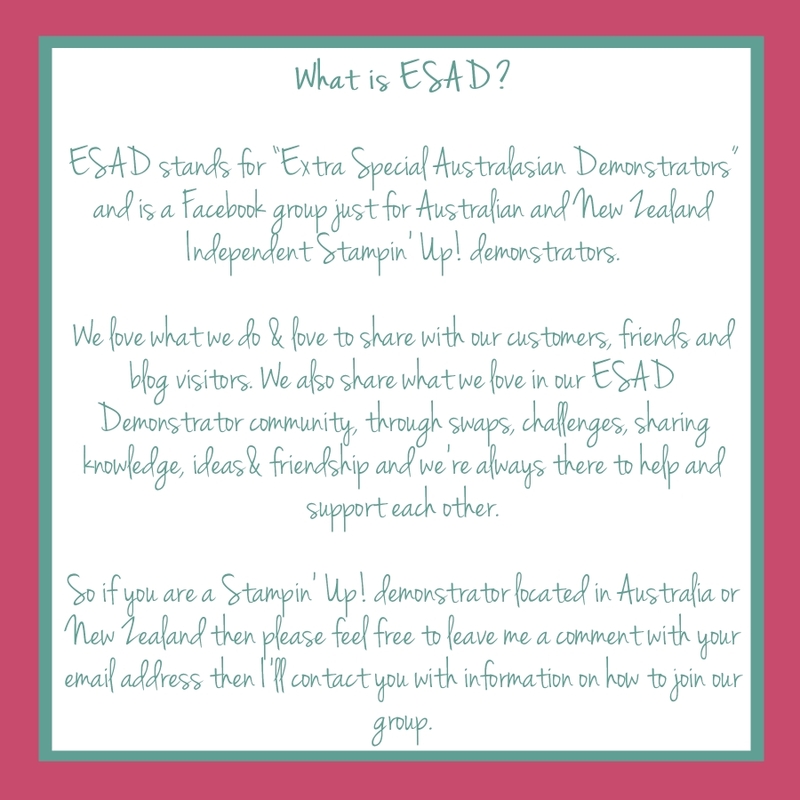 If you are familiar with Stampin’ Up! You will be just as excited as I am at the launch of these completely gorgeous new catalogues to get the creative juices flowing!!!! So many new products to love and play with and get for FREE! If you are not sure what all the excitement is about then read on! Sale-a-bration is one of the most exciting times of the Stampin’ Up! Year!!! A time to get FREE products! Here’s how it works – for every $90 you spend (not including postage), you can choose one product FREE from the Sale-a-bration Catalogue. Spend $180 and get 2 products for FREE…. Spend $270 and get 3 products…. Happy Crafting Everyone! – or should I say – Happy Shopping! Last Chance Year End Sale! I don’t know about you, but it has been a super busy time for me – but I was FINALLY able to get back into the craft room last night for a much needed creative break! Look out for a post in later this week of what I created! Just a quick reminder that today is the last day to take full advantage of the super cheap Year End Sale. Just click on the image below to go straight to the online shop and have your order delivered directly to your door! 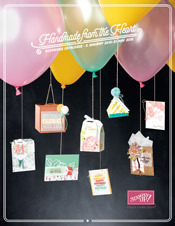 And then look out for the new Occasions and Sale-a-bration Catalogues that go live on the 5th of January. What is Sale-a-bration? The best time in the Stampin’ Up! year where you can get FREE product! For every $90 you spend (not including postage) you get to choose a FREE item from the Saleabration Catalogue. Spend $180 and get 2 FREE ITEMS! Beautiful, limited edition, papers and products for FREE! It’s also a fantastic time to Join Stampin’ Up! where you can choose an extra $60 IN PRODUCT FOR FREE. Thats $295 OF PRODUCTS OF YOUR CHOICE for only $169! Plus a business pack fro free. So JOIN THE FUN now – no restrictions, just loads of benefits! Make sure to use the “follow by email” link in the right hand side bar so you don’t miss any of my posts.